A wealth of Wedding Knowledge – understanding the importance of the day, how things work, providing advice and little tips to help. Clare’s kit only contains luxury cosmetic brands such as MAC, Bobbi Brown, Chanel, Charlotte Tilbury, Illamasqua, Airbase, Lancôme, NARS, Tarte Cosmetics, Urban Decay and Estee Lauder and French skin sensitive brands such as Caudalie, Bioderma, Roche Posay, Avene etc. 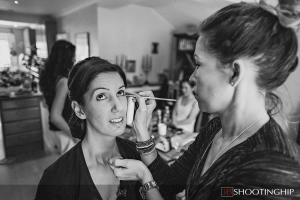 As a professional and experienced make-up artist Clare gets booked well in advance for a Wedding date, especially for a Summer Wedding. Therefore if you have set a date, please do enquire if she is available. The next step, you will be required to complete a booking form and pay a booking fee (please see Terms & Conditions). This will ensure that you have secured her make-up services for your wedding date. Once you have “officially” booked Clare’s services, a trial date will be set at a mutually convenient time. Please note that she does not offer bridal make-up trials during the evening, as natural Lighting is poor and she prefers her clients to see their make-up during daylight. Trials are usually arranged two to three months prior to the wedding date, unless it is a last minute booking. Trials are held at her private make-up studio in Surrey. The consultation is two hours and communication is key. 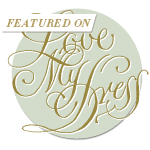 She asks that each bride brings any ideas with them to the trial, often clients create Pinterest mood boards to help. Alternatively you may not have any idea and she can discuss options. Clare prides herself in listening to her clients’ requirements. 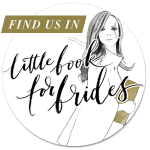 She will take time to discuss your wedding in detail, from your dress, colour scheme, Wedding theme and your personal make-up style. Passionate about good skincare she can provide advice on how to achieve amazing skin for your wedding day. She will then create a bridal look tailored to your requirements but ensuring that your natural features are enhanced in every way. Before and After shots will be taken as well as a written client record. You may choose to be a “Natural Bride”, “Vintage Bride”, “Boho Bride” or “Glamourous Bride”. Whatever your make-up choice, Clare has the skills as a make-up artist working in Fashion and Bridal to create your chosen look. After the trial consultation, she will compile a scheduled timetable for your make-up application. With years of experience Clare often works to tight deadlines and understand everything “weddings”. Planning is key to a successful pampering Wedding morning. She will arrive at the venue of your choice or home in plenty of time, armed with full kit and timetable, ready to create perfection! Clare also provides a temporary tattoo cover up service for your wedding day. For further information and quotes, please email clarepinkneymakeupartist@gmail.com. View the Bridal make-up price list or if you’d like further information, or to check availability for your wedding date, contact Clare’s PA today by emailing clarepinkneymakeupartist@gmail.com.